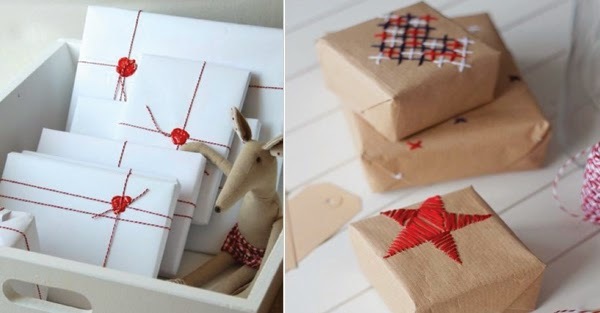 I did a post a couple of weeks ago all about Cox and Cox fabulous gift wrap ideas and products! 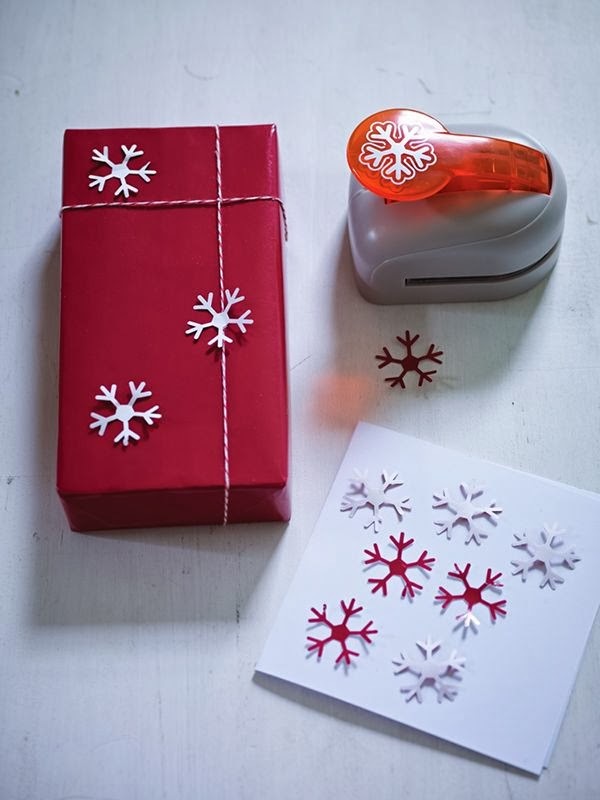 I really want one of these big punches. 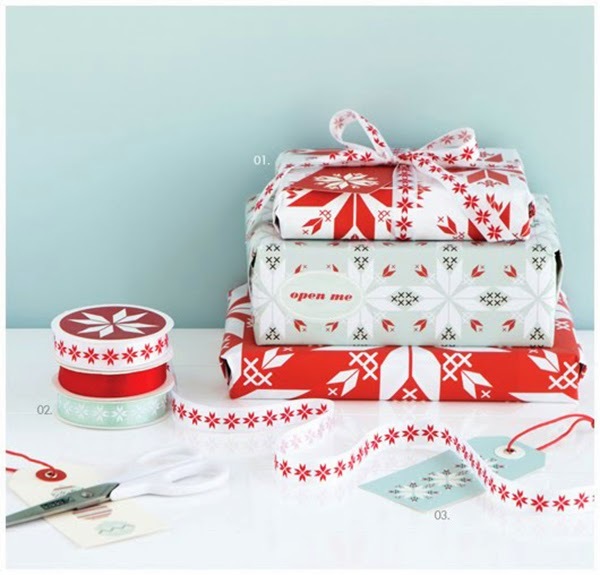 This lovely Scandinavian gift wrap looks great with the felt poinsettia! 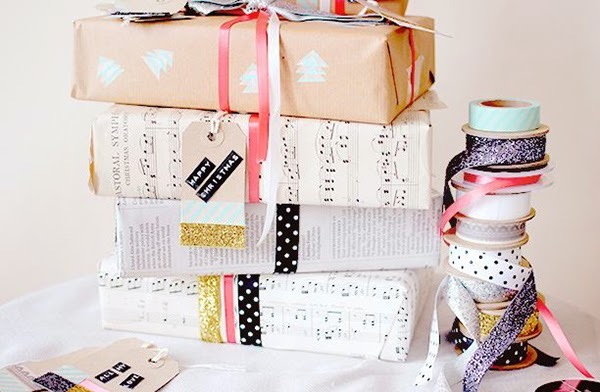 How pretty is this gift wrap from the White Company?! 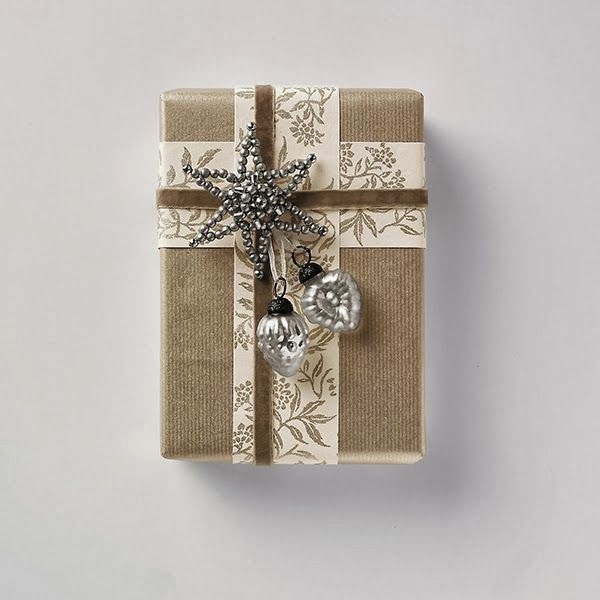 These tinsel snowflakes from West Elm are fabulous decorations and lovely for on top of a gift box! 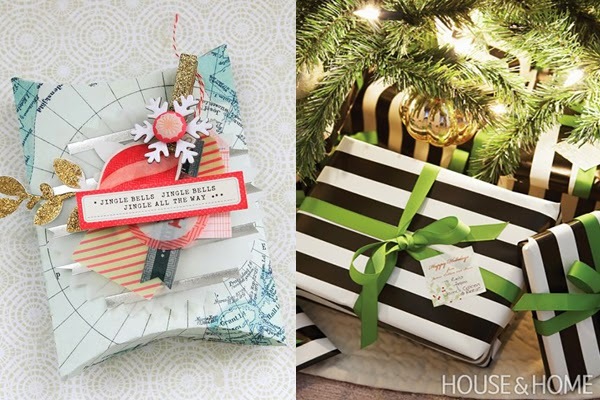 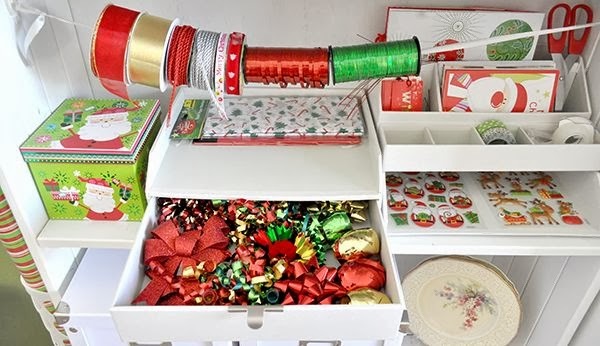 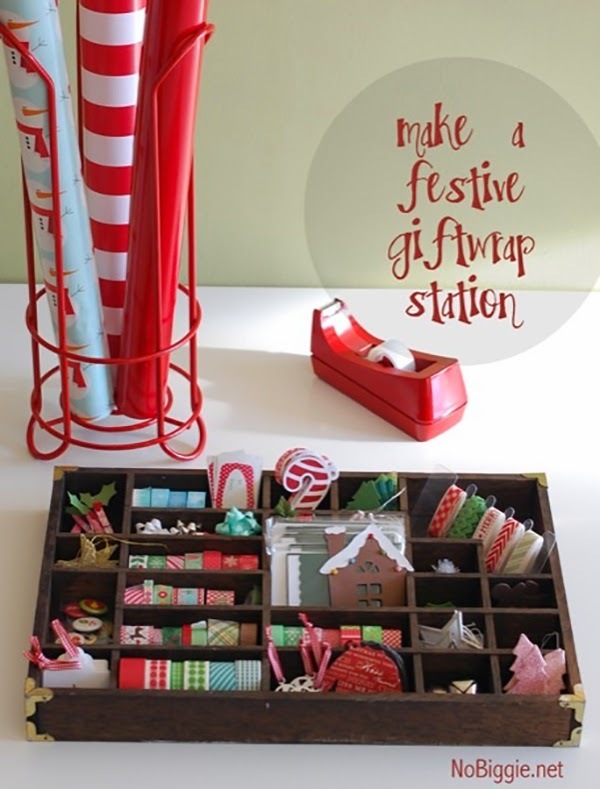 What an excellent gift wrap station for this time of year! 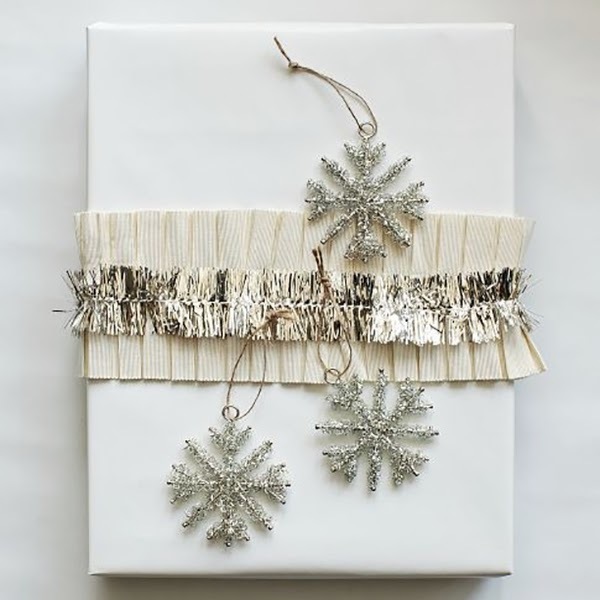 This lovely beaded snowflake is available as a tutorial in Merry Makings magazine. 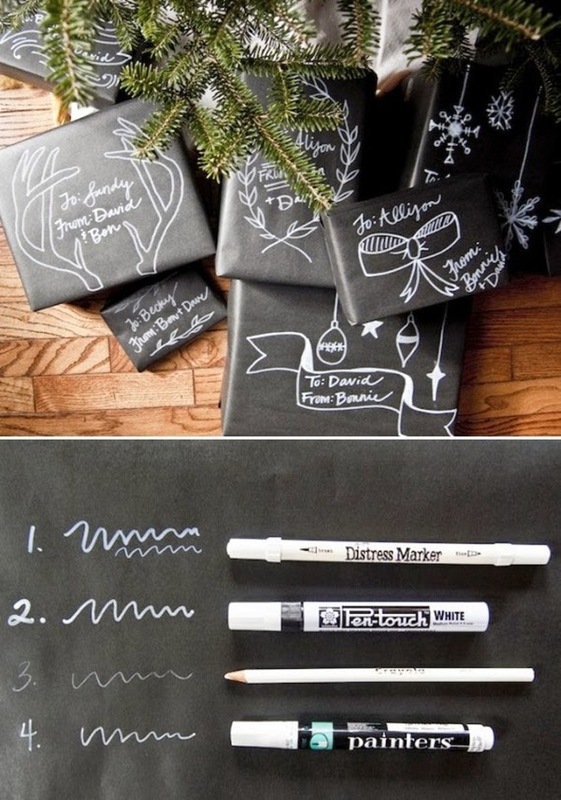 I like the black and white as it’s just rather unique! 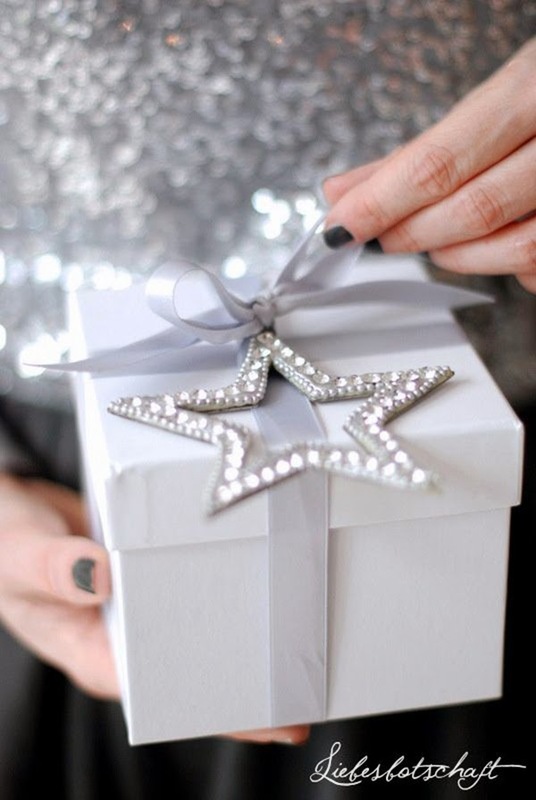 The big white box looks like it’s been wrapped in lace and I love that! 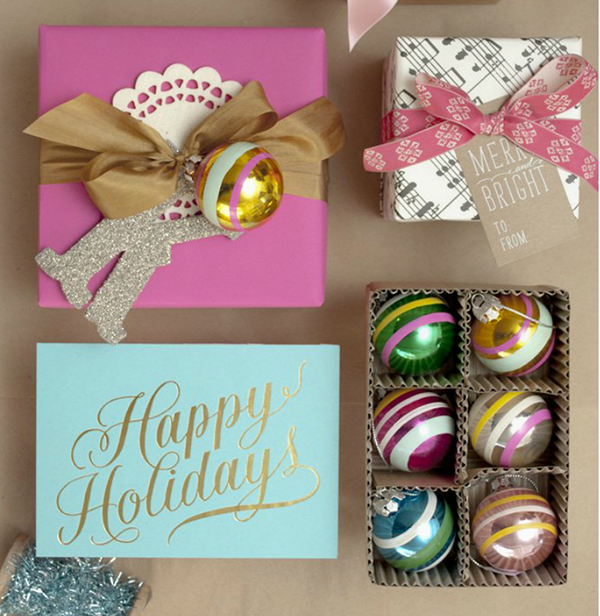 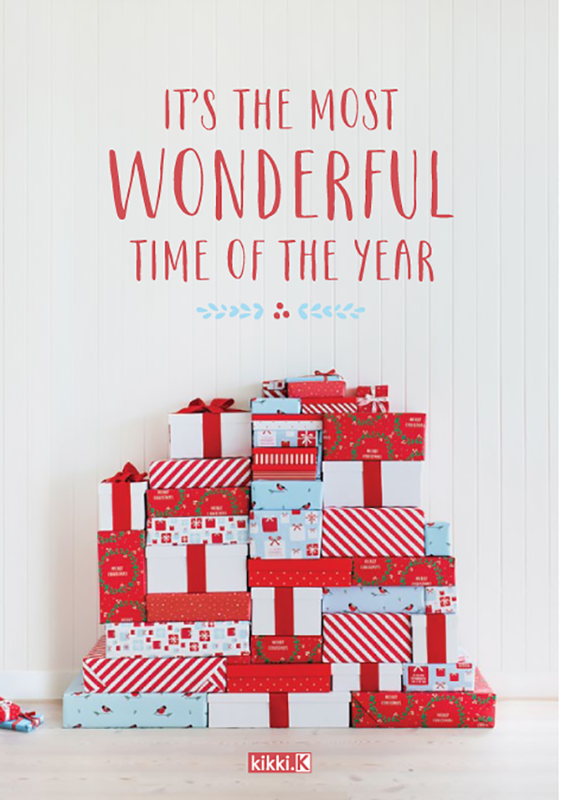 I like this little Christmas box from Crate Paper. 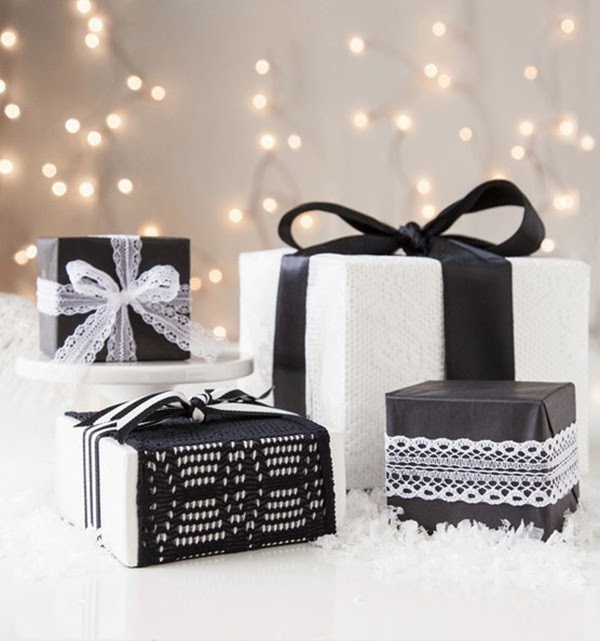 The black and white gift wrap reminds me of a hum bug. 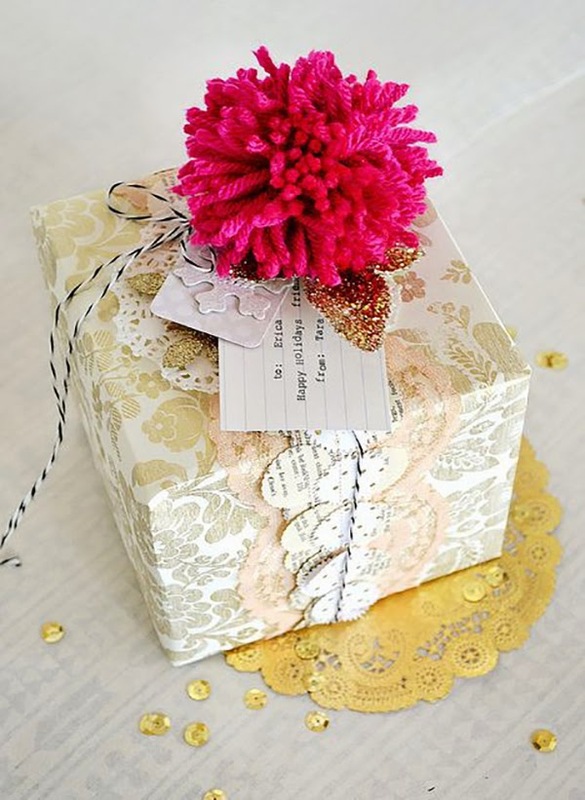 I love this wax seal gift wrap and this stitched gift wrap is just absolutely incredible! 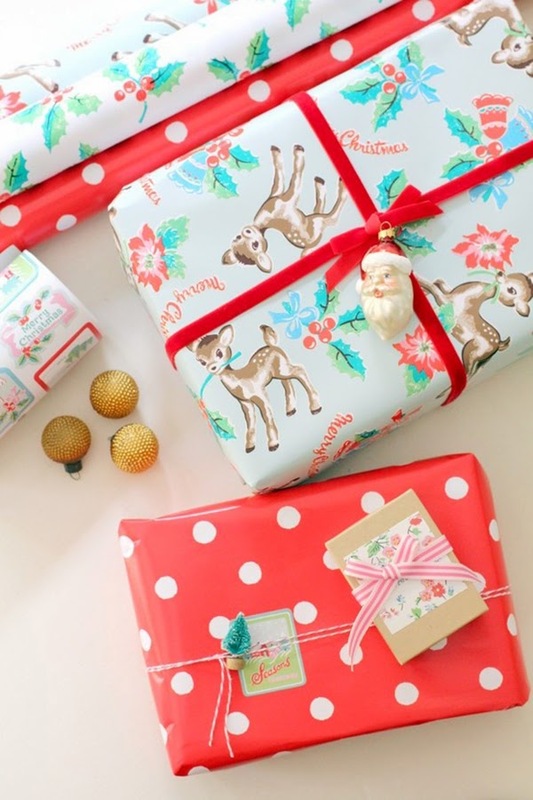 The 2013 gift wrap from Kiki K is as lovely as ever! 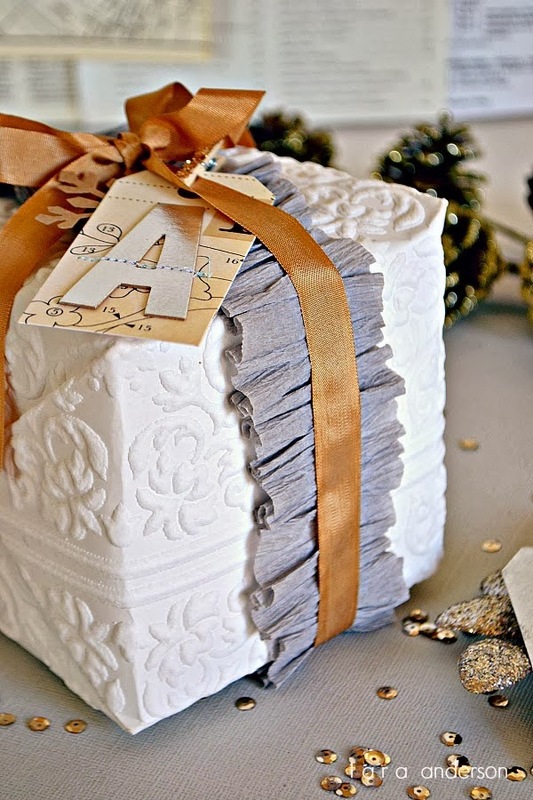 I’m a fan of any lovely writing and the lettering on this tag is absolutely beautiful! 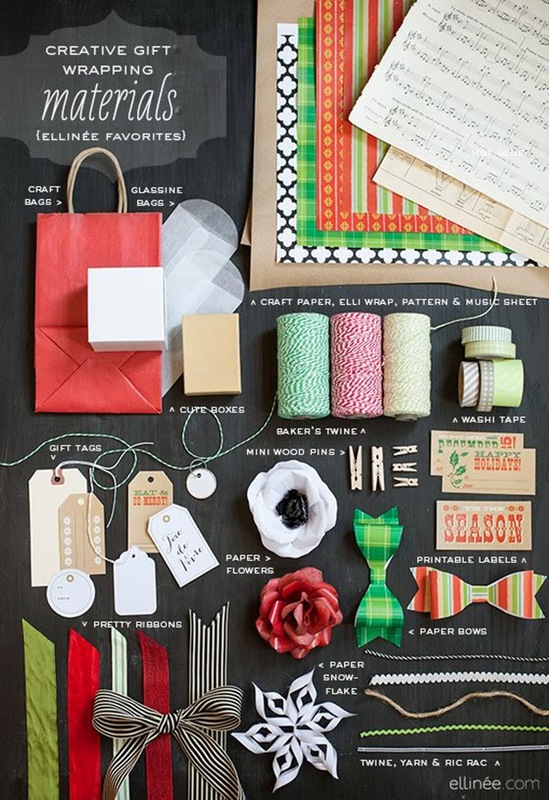 I’m also a huge fan of that wide ribbon! 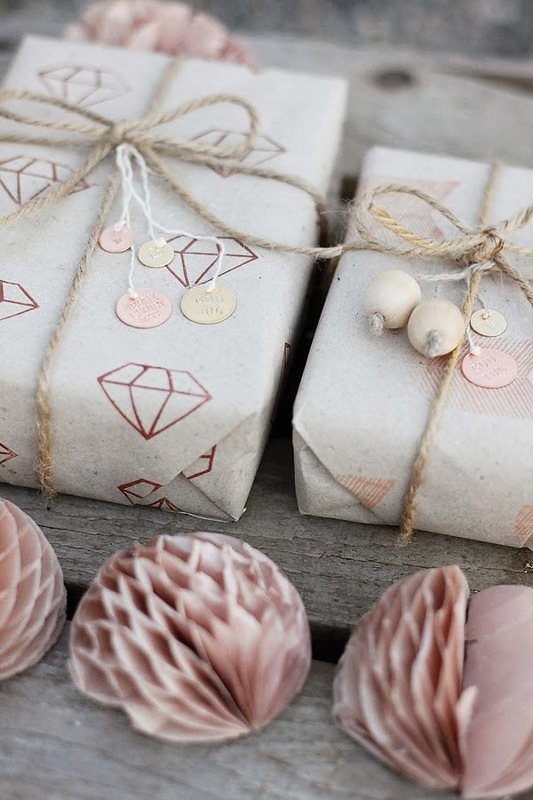 The wooden beads have made some lovely little additions to these gift tags! 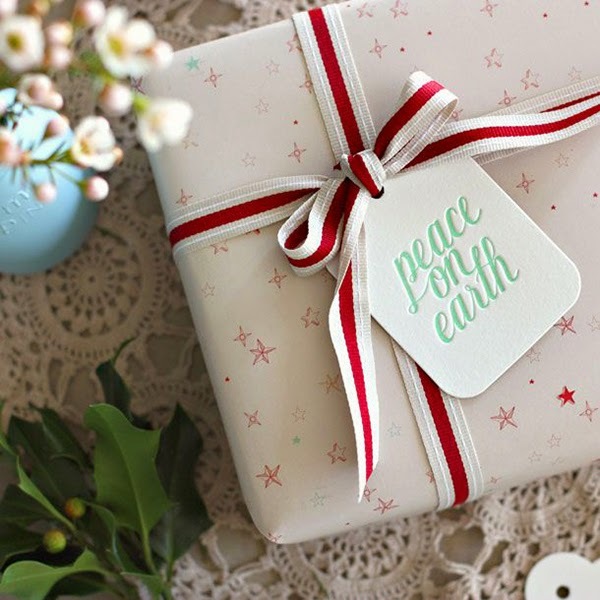 Lovely ribbons from Kiki K – I love the patterns! 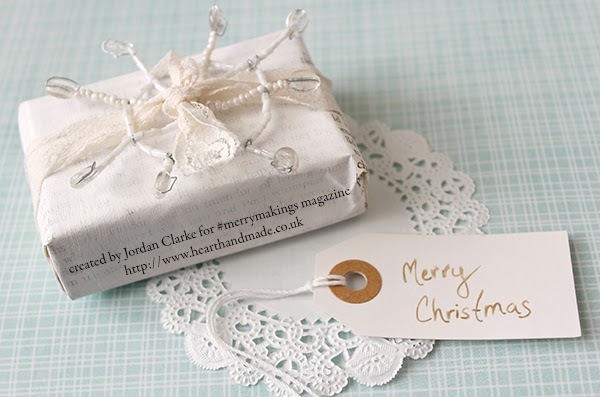 I do love letterpress and this stitched grosgrain ribbon is absolutely stunning! 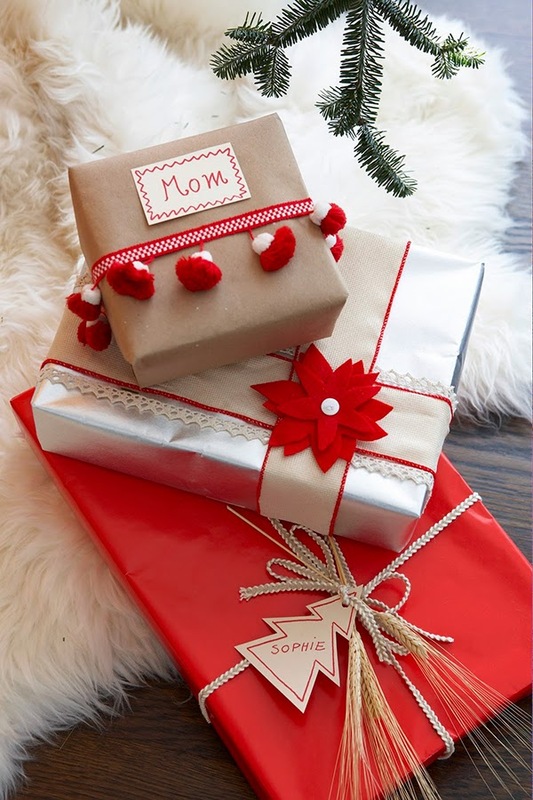 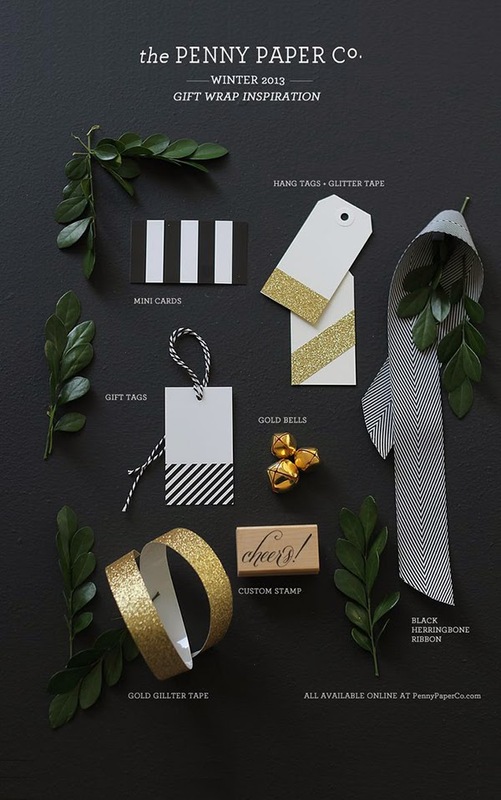 Using ornaments as special gift wrap decor is such a glamorous idea and as always Liesbesbotschaft has done a wonderful job with her lovely and inspiring craft endeavours and photography. 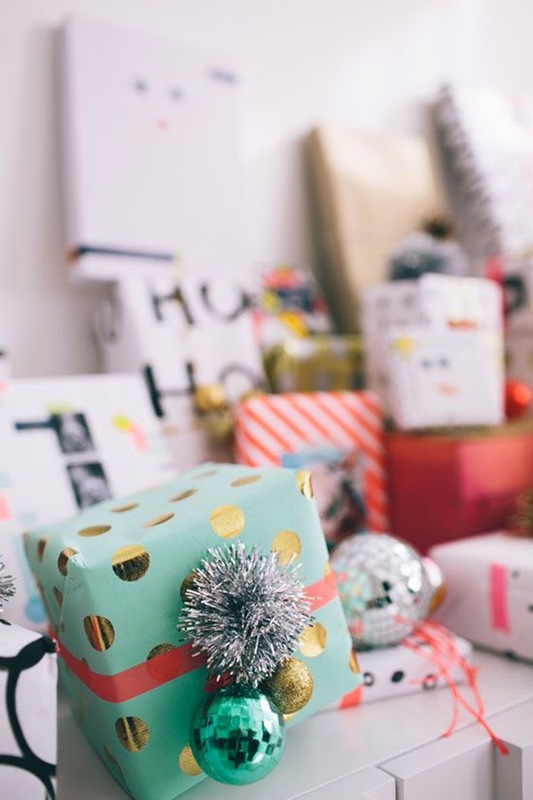 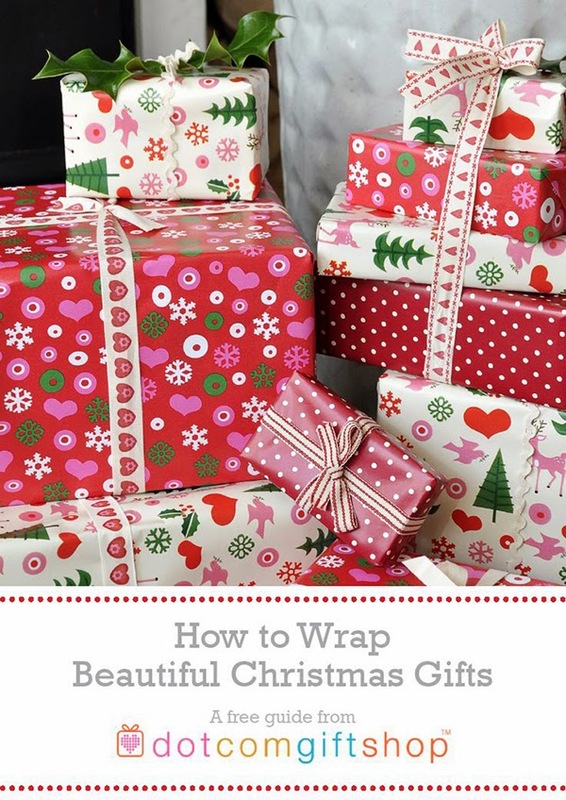 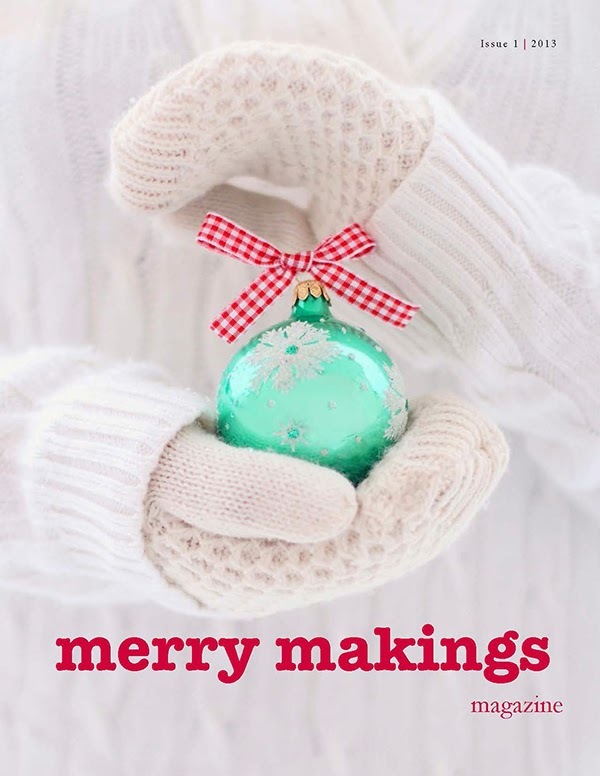 dotcomgiftshop have provided a wonderful PDF guide to download (read this link) on how to wrap perfect christmas gifts!